I had arrived in Sweden as i was visiting the country that i loved so much and i was meeting with the princess Isabella and i sent word ahead to her that i would be arriving at the chambers. her eyes looked curiously at the woman wondering who they were and she places the brush down on the dresser. I entered the chambers and i curtsied to the young princess. Isabella Vasa had listened what was said to her and smiled kindly at the woman "Thank you, Drottningholm has always been my favorite place to be, Stockholm is lovely too." she told the woman kindly "Your compliments are kind, many say I look like my mother." I smile towards the young princess. 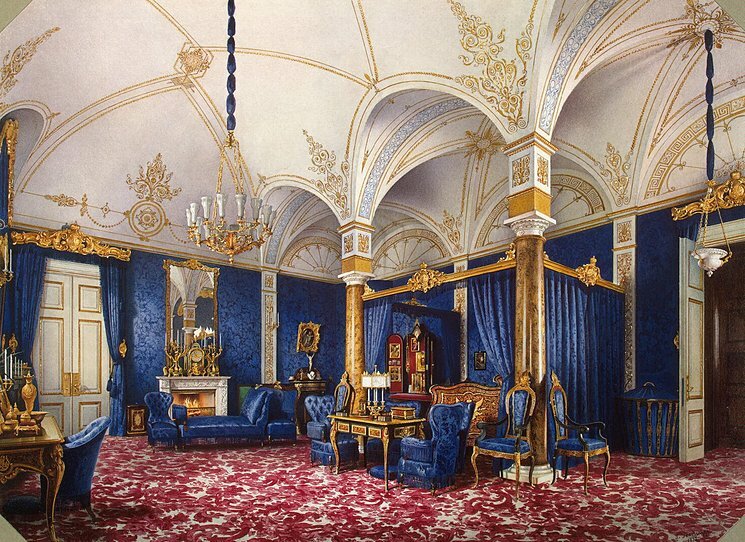 "This palace is indeed very beautiful your highness and all the nice items around the palace add to it as well. I have seen portraits of your mother and you are indeed very alike my lady"
Isabella couldn't help but smile at the woman "I wish though I knew her better, but alas I have never known her or my father at all" she told the Princess in front of her "Now my brother is the King and I'm the youngest of all my siblings and a twin." she pauses for a moment "And you, you are a Princess of Spain? What is it like in Spain? I'm sure it is much much warmer then the frigid air of Sweden"